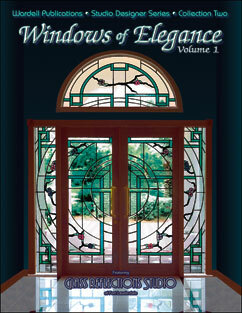 Features 35 elegant designs for panels, transoms and entries by Debra Felberg Oxley. The stunning floral, garden, and nature themes will bring elegance to any home or office. Projects are shown finished and in color. The glass creations of Mark Levy have graced public, private, and corporate collections for over 24 years. His works have been described as bold, complex, and architectural, with an uncompromising attention to detail. Mark is keenly aware that his cutting edge designs will have an effect on the viewer and meticulously composes each project with careful glass selection. He has a unique combination of intrinsic artistic ability and extensive architectural training which enables him to effectively create an artistic reality that is in harmony with the surrounding space. Mark's personal conviction is to exceed the expectations of his clients by challenging and expanding his artistic boundaries. 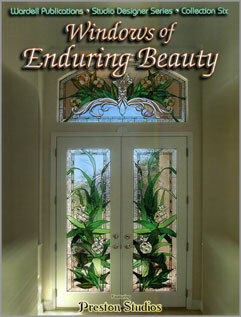 This design studio portfolio contains over 150 designs for stained glass windows. The photographs and drawings are from the designer archive at Glass Reflections of Fort Lauderdale. The array of design styles include traditional, tropical, floral, beveled panels, modern abstracts, landscapes and magnificent entryways. This book is indispensable in all art glass libraries and will appeal to architects, builders, interior designers and all stained glass enthusiasts. 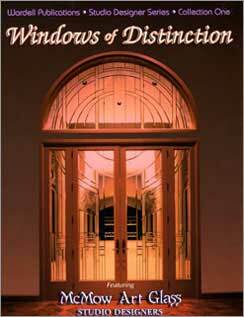 Following on from the great success of ‘Windows of Elegance’ published in 1996, this 2nd volume brings together a completely new selection of dramatic art glass installations using location specific photography. 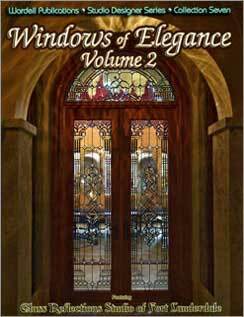 Whether you are researching decorating ideas for your own home or if you’re seeking inspiration to create a stained glass work in your art glass studio, Windows of Elegance - Volume 2 will help you strike a balance between beautiful and practical, lavish and comfortable. 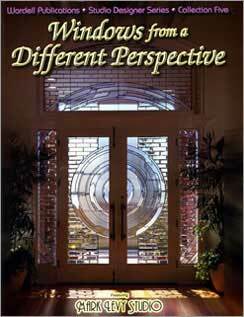 Preston Studios, one of Florida's most innovative art glass studios, has generously opened up their photo archive of leaded glass installations to create an inspirational book of stained glass design. A book of this nature is designed to share new and imaginative images, designs and concepts by John Emery & Jerry Preston. 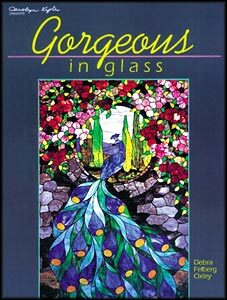 It can be an inspiration for new projects, a resource for commissions, or even more simply, a visual feast for anyone who loves art glass. Most of the 84 color photographs showcase the glasswork in its installed environment, giving the reader a sense of the interior atmosphere. Malavika Tiwari of New Delhi, India Presents an Eclectic Portfolio of Remarkable and Inspirational Stained Glass Art. She has been described as a pioneer in the modern stained glass movement in India. 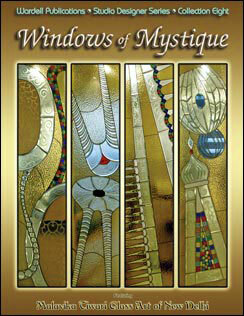 The portfolio of work showcased throughout Windows of Mystique includes a wide variety of design themes from traditional bevel, to nature scenes, Prairie styles and contemporary designs in addition to some that offer a synergy of Indian and Western art forms. Windows of Mystique presents location specific photography that includes entryways, windows, skylights, ceiling lights, partitions and more. The text features a brief history of the designer and her studio in addition to insightful descriptive photo captions that are written in Malavika’s own words. 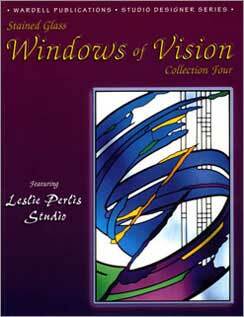 This fourth book in our very popular Studio Designer Series features the work of renowned glass artist Leslie Perils. Leslie has been working in glass for more than 20 years and she has amassed a very large collection of drawings and photographs which she generously agreed to share with the world. Leslie's work challenges the boundaries of glass art with a style that is all her own. Her signature "Sea Forms" rendered in vivid color are nothing short of spectacular.